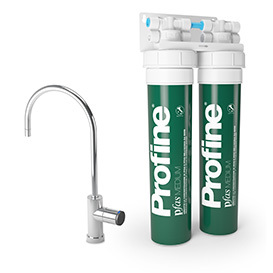 PROFINE® PFAS removes Perfluoroalkyls (Pfas) and bad odours and off-tastes in drinking water. Pfas selective resin, 0.5 μm final filtration stage with Profine® Carbon Block technology added with silver ions for bacteriostatic action. 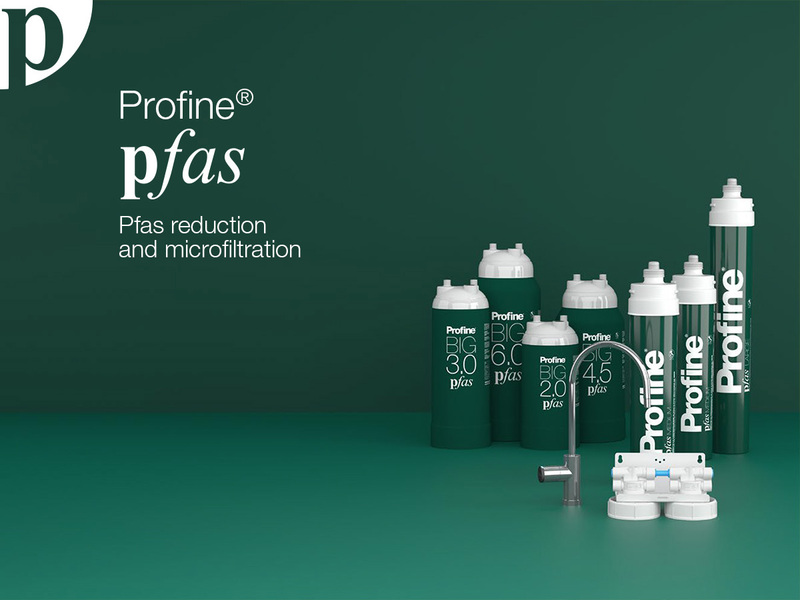 To be used with a Pfas concentration of less than 500 ng / l.
PROFINE® PFAS is a disposable filter for drinking water treatment with selective Pfas resin.The Profine® filter has a 0.5 μm final filtration step with bacteriostatic Profine® Carbon Block Silver technology. * Medium filter can not be used singularly. 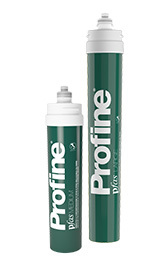 KIT PROFINE® PFAS is a disposable type cartridge for drinking water treatment with selective Pfas resin. 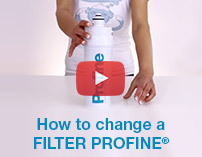 The Profine® filter with quick coupling features a 0.5 μm final filtration step with bacteriostatic Profine® Carbon Block Silver technology. 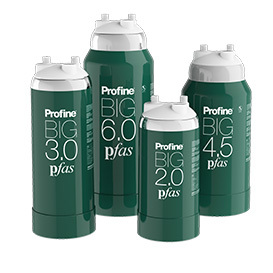 BIG PROFINE® PFAS It is ideal for professional use where large quantities of refined water are needed. The cartridge must be powered only with cold water. Thanks to the multi-stage concept that combines the selective pfas resin and Profine® Carbon Block technology, the Profine® BIG Pfas cartridge offers the guarantee of a good and safe water by eliminating the Pfas.